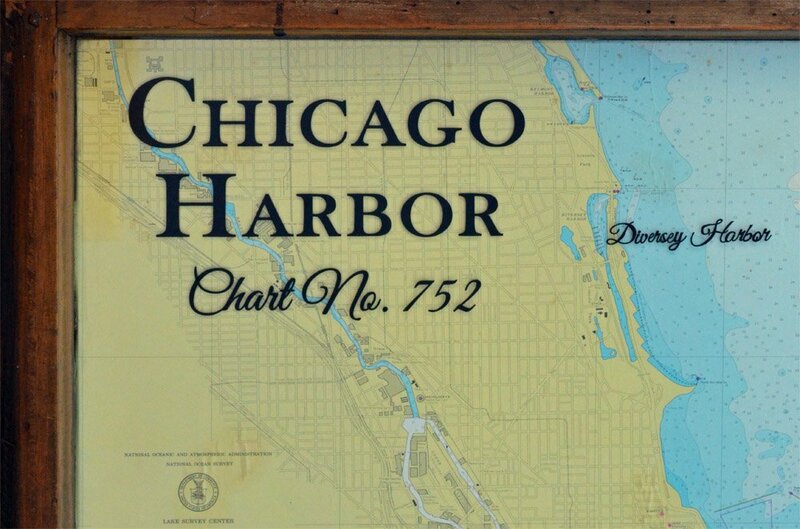 This large framed Chicago Harbor nautical chart has a printed date. 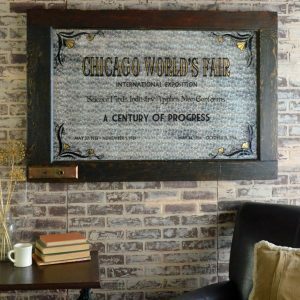 The dark wood frame is made from a vintage window. This beautifully aged Chicago Harbor nautical chart will make the perfect accent for your lake house decor! 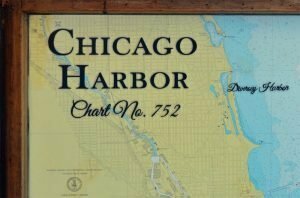 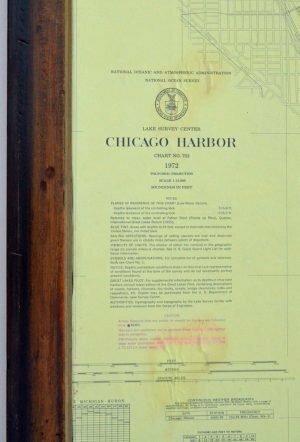 This framed vintage Chicago Harbor nautical chart has a printed date. The frame is an old window, with it’s original dark finish sanded and sealed. 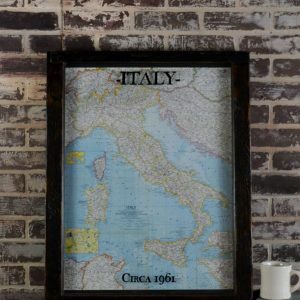 The title, date, and major ports are applied to the glass – adding character to this unique art! 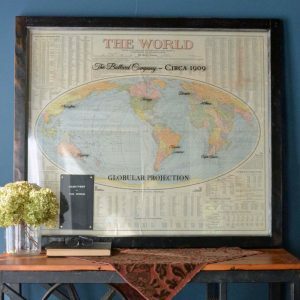 Currently available chart has a printed date of 1972, and is an authentic vintage 1972 chart. 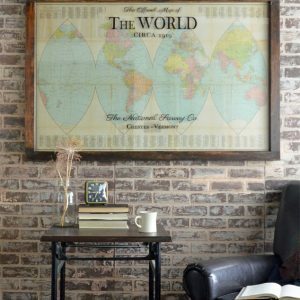 Staged photo shows a previous sample. 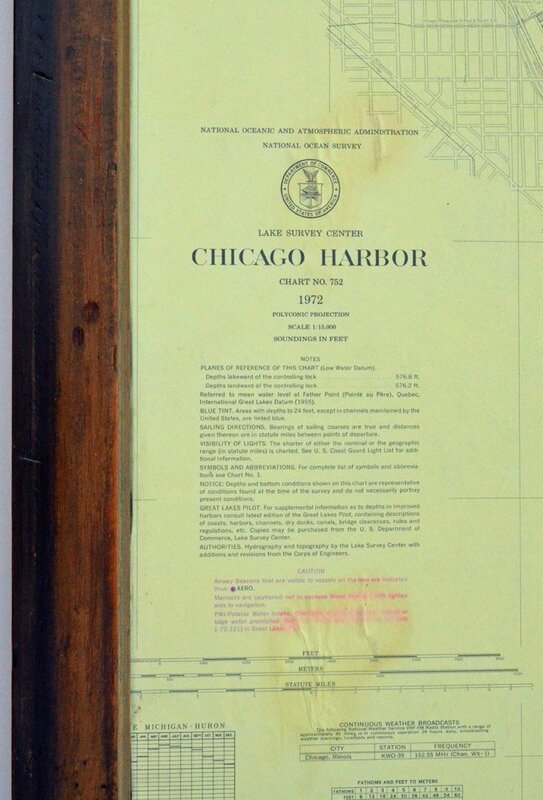 This artwork can ship via FedEx ground, but requires a large package surcharge. 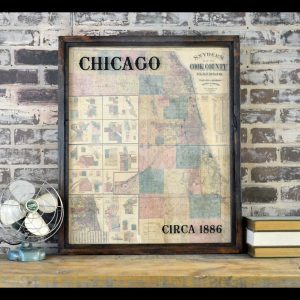 Local Chicago area delivery is available at a discounted rate – please inquire to amy@secondchanceart.net with any questions. 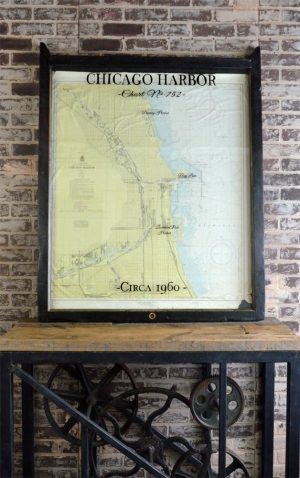 This old nautical chart makes a wonderful addition to your lake house decor! 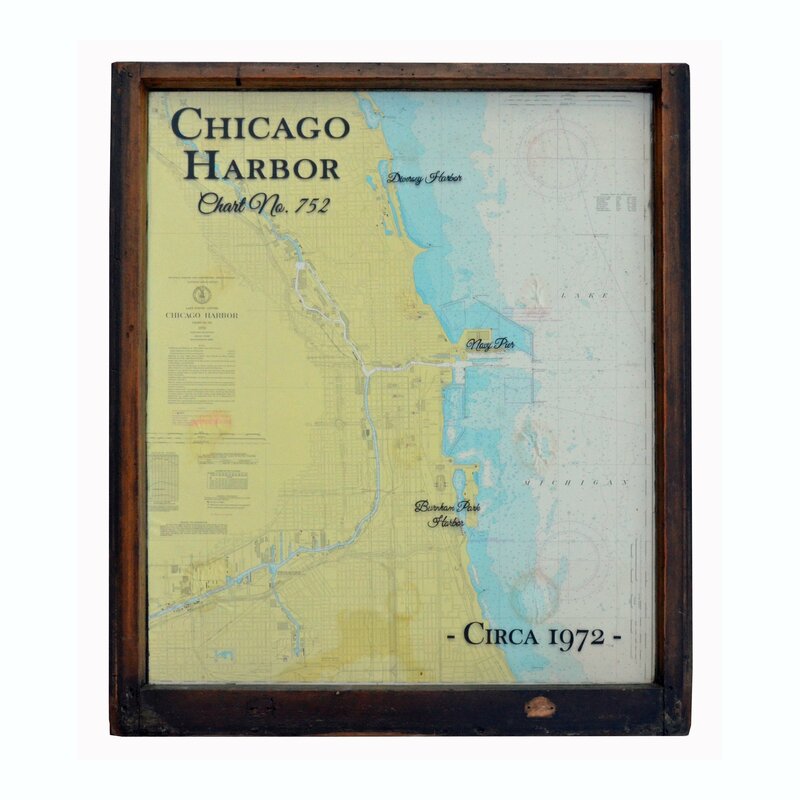 Hangs using 2 d-shaped rings mounted to the back side – upper corners.